Last weekend I got the chance to stop by The Daisy and check out their brunch menu in hopes to recover from an exhausting 12 hour wedding shoot the night before. New York is filled with a ton of restaurants with dope bars, The Daisy is no different. I really wanted to have a seat at the bar, but bar stools with no back support are killer.. anyone else agree? 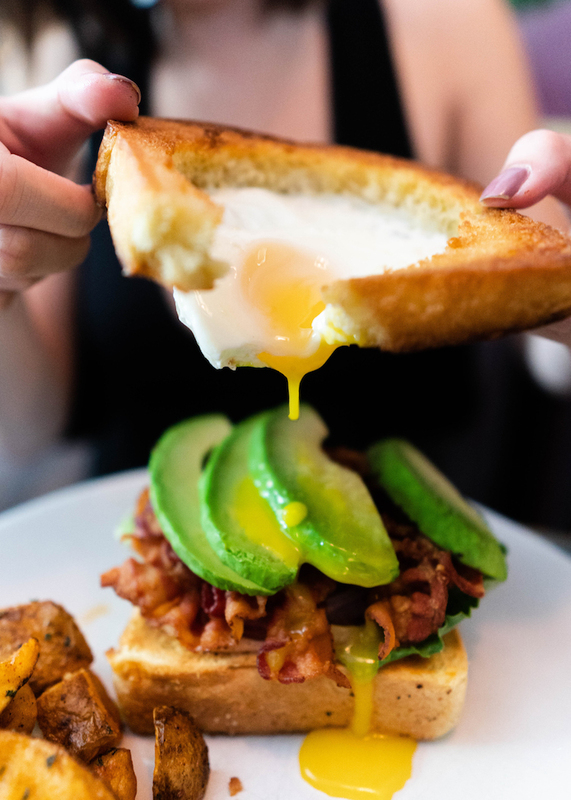 From the menu, you can expect your typical over-the-top Avocado Toast, a variety of salads, and a even divide between traditional savory and sweet breakfast items. But we opted for the Smoked Salmon Benedict and the B.E.L.T (bacon, egg, lettuce, tomato). Bring on the cocktails! When the Upper East Side meets Mean Girls (12 year old me is gushing) over these Regina George, ESPN or something inspired cocktails. Pictured here is the You Go Glen Coco and the She Doesn't Even Go Here, both so delicious! We waited some time before our order came out. Service was slow for a place that wasn’t extremely packed on a Sunday and the bacon was a little overdone for my liking. Before we left, I got a chance to look at the dinner menu which looks fantastic.. Burrata, Mussels, Atlantic Salmon *drool*. Might give dinner another chance before making a hard pass at this place.